home » About WILA » News » Smart Tooling starts at EuroBlech 2018! 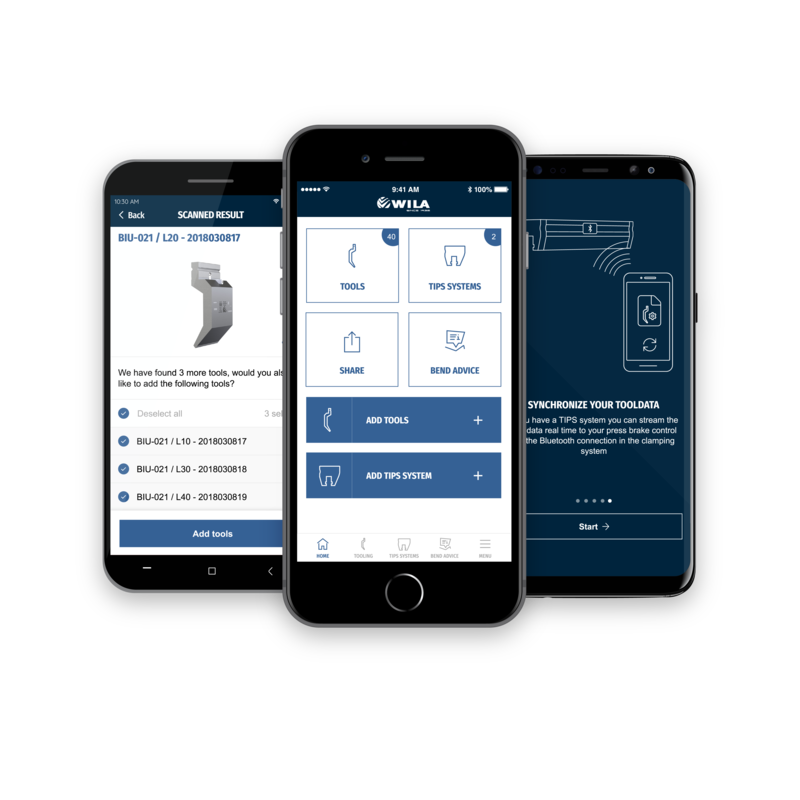 WILA will introduce its Smart Tooling Concept at EuroBlech 2018: a smartphone app which offers tool management for press brake tools. The Smart Tooling App allows WILA customers to experience the advantages of digitalization and data connectivity: access to tool data anytime, anywhere; major time savings; error-free tool data entry and simplified stock management. The Smart Tooling App is part of the WILA Smart Tooling concept, which adopts a step by step approach to take tool management for press brake tools to Industry 4.0 standard. WILA will use EuroBlech to show how its whole product portfolio chain supports this Smart Tooling concept: from Tool Advisor to Bluetooth features in the WILA Tool Holders in the press brake. Visit our booth (hall 11, booth A101) to see all WILA Smart Tooling solutions in action! GROW YOUR BUSINESS WITH WILA.